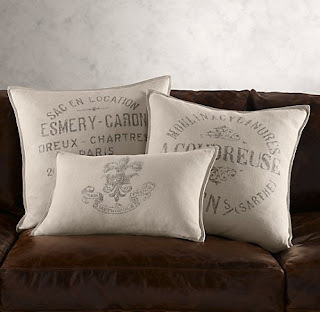 if you haven't guessed, i love typography and i like to add it to the decor in my house. i found this b on the street while i was in college (i think a bar was trashing their signage) and it now sits on my desk in the office. 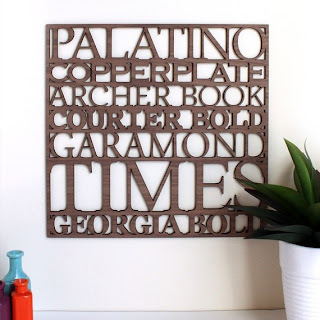 our silverware with the "b"
here are a few ideas to spruce up your home with typography! 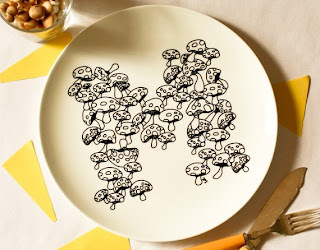 ceramic plate, you can get the whole alphabet!